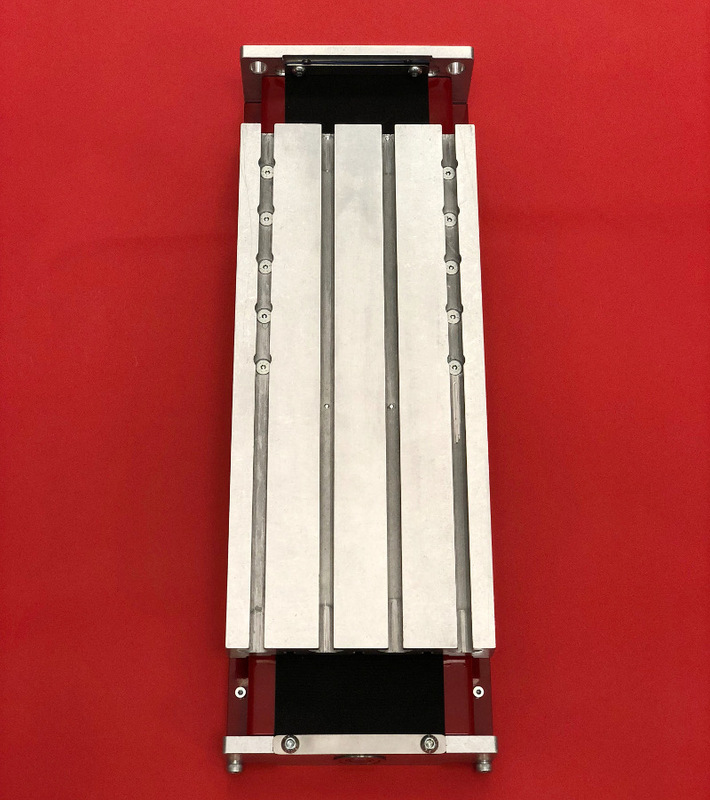 Our PRO Ballscrew Axis is a high-quality linear motion axis capable of carrying large cutting tools, like our 2.2 kW Plug and Play Spindle, at high speeds. High Accuracy: a pre-loaded ballscrew nut allows for precise, zero-backlash operation, while dual profile linear bearings provide smooth motion. High Speed: the 10mm pitch precision ballscrew allows for rapid travel (200 IPM+), enhancing productivity for drilling and 3D contouring applications. High Load Capacity: features a high-efficiency screw and a uni-directional drag brake to resist back-drive, even when equipped with a heavy 10 kg spindle. Universal Mounting: includes mounting options for both Nema 23 and Nema 34 motors. 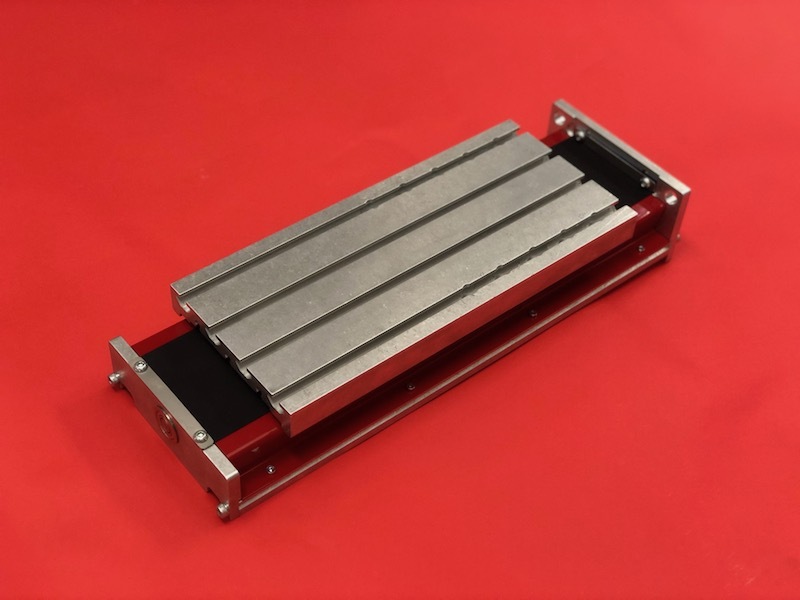 Reliable: dust cover strip and guides protect both linear rails and ballscrew from debris. This product was added to our catalog on December 19, 2017.